Physician Employers. 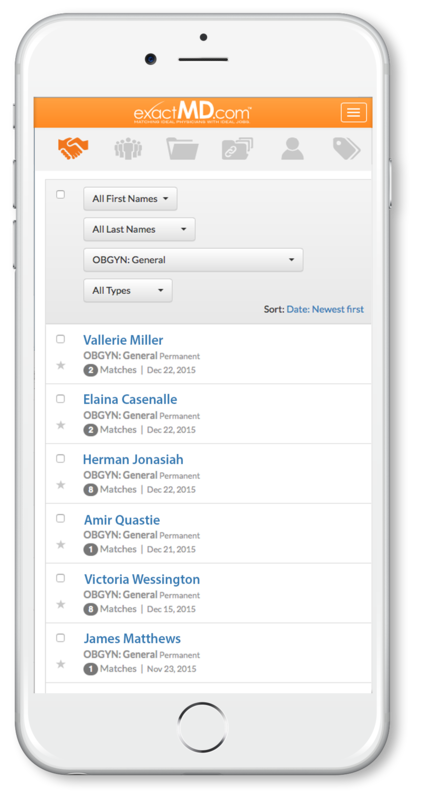 Recruiting Ideal Physician Candidates Just Got Easier. 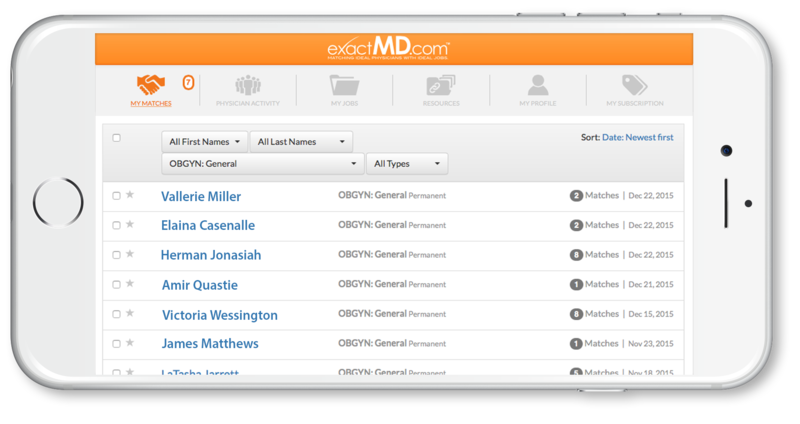 The groundbreaking artificial intelligence of the ExactMD.com physician job board swiftly & accurately matches physician candidate with medical practice employment opportunities based on the strength of the candidate to employer matching score. Meet your new army of assistants. Your personal Dashboard is like having your very own sourcing team working 24/7 to bring you only ideal physicians. Join for FREE and be instantly matched to your ideal jobs. Let ExactMD make your life easier and do the work for you.